Arthritis, also called osteoarthritis or degenerative arthritis, involves damage to the joints of the body. Of all the joints in the body, arthritis affects the knee most commonly. It causes pain, popping, stiffness, swelling, and limited movement. Either “bow leg” or “knock knee” deformities can occur in later stages. Knee arthritis is the most common cause of long-term disability in patients age 65 and older. 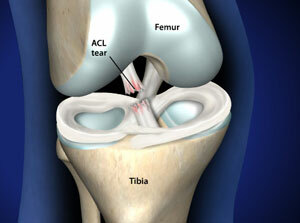 Knee Arthritis is associated with advancing age and the wear and tear of life. Other risk factors include: Heredity, knee trauma (fracture or ligament injuries), disorders that affect joints, and being overweight. Non-operative treatments for knee arthritis include: Activity modification, low-impact exercise (swimming or elliptical trainer), weight-loss, non-steroidal anti-inflammatory medications, acetaminophen, corticosteroid shots, visco-supplementation injections (“cartilage building block shots”), comfortable shoe insoles/orthotics, compression wraps, unloader braces, glucosamine/chondroitin sulfate (a joint vitamin that is not proven to help as yet), and a cane or crutch to the hand opposite the affected knee. 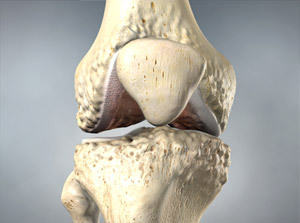 Surgical treatments for the early stages of knee arthritis include: knee arthroscopy with debridement chondroplasty (the removal and stabilization of diseased cartilage), knee arthroscopy with microfracture chondroplasty (“filling a pot hole” in the cartilage by causing the bone to bleed), and other cartilage restoration procedures (such as the OATS procedure). There are animations on this website to explain all three of these procedures further. Partial or total knee replacement are surgical options for more severe stages of knee arthritis when non-operative treatments have failed. Head over to OmahaShoulder.com if you want to learn about shoulder arthritis. Have Knee Pain or Injury in Omaha, Ne?